Irate Congressman gives cops easy rule: “just follow the damn Constitution” | Ars Technica. Despite the best efforts of law enforcement to convince a Congressional subcommittee that technology firms actually need to weaken encryption in order to serve the public interest, lawmakers were not having it. Daniel Conley, the district attorney in Suffolk County, Massachusetts, testified Wednesday before the committee that companies like Apple and Google were helping criminals by hardening encryption on their smartphones. 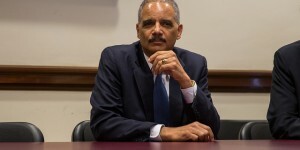 He echoed previous statements by the recently-departed Attorney General, Eric Holder. Rep. Ted Lieu (D-CA), who described himself as a “recovering computer science major,” provided one of the most forceful counter-arguments. (He is just one of four House members with computer science degrees.) Lieu also is a Lieutenant Colonel in the United States Air Force Reserves and served for four years as a member of the Judge Advocate General’s Corps. It’s a fundamental misunderstanding of the problem. Why do you think Apple and Google are doing this? It’s because the public is demanding it. People like me: privacy advocates. A public does not want an out-of-control surveillance state. It is the public that is asking for this. Apple and Google didn’t do this because they thought they would make less money. This is a private sector response to government overreach. Then let me just conclude by saying I do agree with law enforcement that we live in a dangerous world. And that’s why our founders put in the Constitution of the United States—that’s why they put in the Fourth Amendment. Because they understand that an Orwellian overreaching federal government is one of the most dangerous things that this world can have. I yield back. When Ars contacted Lieu after the Wednesday hearing he said that he was not surprised at the testimony of Conley and others in law enforcement. “They have a job to do and it is in their interest to make access to data by law enforcement as easy as possible,” he told Ars by e-mail. Backdoors create unnecessary vulnerability to otherwise secure systems that can be exploited by bad actors. Backdoors are also problematic because once one government asks for special treatment, then other governments with fewer civil liberties protections will start asking for special treatment. In addition, computer code is neutral and unthinking. It cannot tell if the person typing on a keyboard trying to access private data is the FBI Director, a hacker, or the leader of Hamas as long as that person has the cryptographic key or other unlocking code. The view that computer backdoors can only be used by “good guys” reflects a lack of understanding of basic computer technology. The entire hearing, which runs two hours and 15 minutes, is viewable below.